Spanning 20,000 square feet, Space introduces its yin-and-yang weekends that could provide entertainment and the musical backdrop for all walks of life. Comprising a multi-level main room, a lounge, and a rooftop terrace boasting panoramic views of the West Side skyline, Space Ibiza | New York aims to be your weekend destination, all summer long. 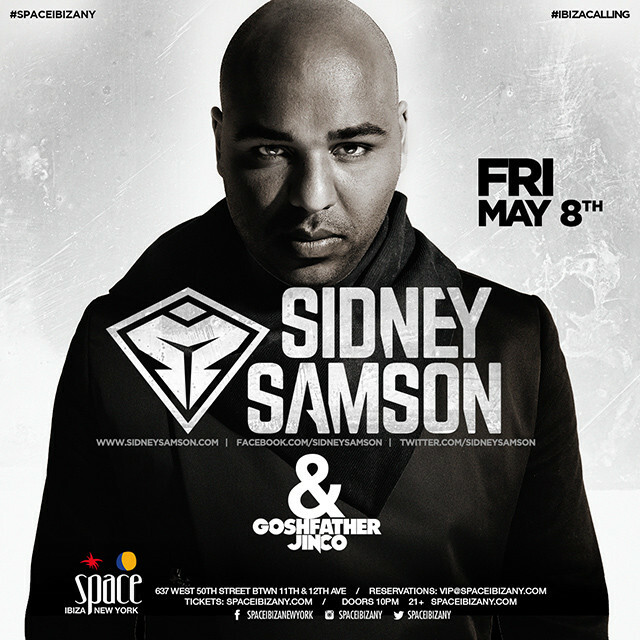 On Friday nights, Space amps things up with big-room acts including Dutch DJ Sidney Samson, who is most known for his smash hit ‘Riverside’ and tracks ‘Move, Magic’ (with Yves-V), ‘Thunderbolt’ (with Justin Prime) and ‘Torrent’ (with Martin Garrix), and Deniz Koyu, the Turkish/German progressive house DJ responsible for tracks like ‘Tung!’, ‘Bong’ and ‘Sonic’. On Saturdays, the club recruits house artists to bring underground dance music back into Manhattan and are continuing onward with their dedication to offering attendees musical programming apparently not found anywhere else that side of the pond. Tonight, Space welcomes Sven Väth. Since his beginnings in the Frankfurt club scene in 1982, when Sven attracted interest with DJ sets of several hours, he’s been at the forefront of electronic music. 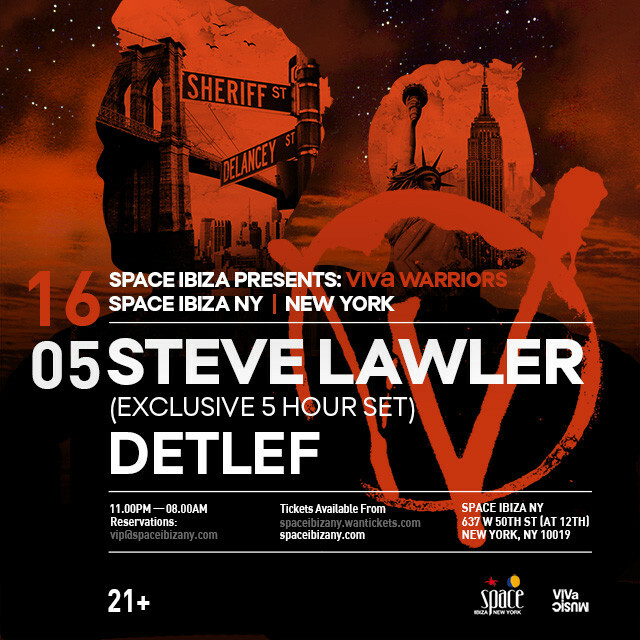 On Saturday, 16 May, Space invites Steve Lawler for a for a five-hour extended set. 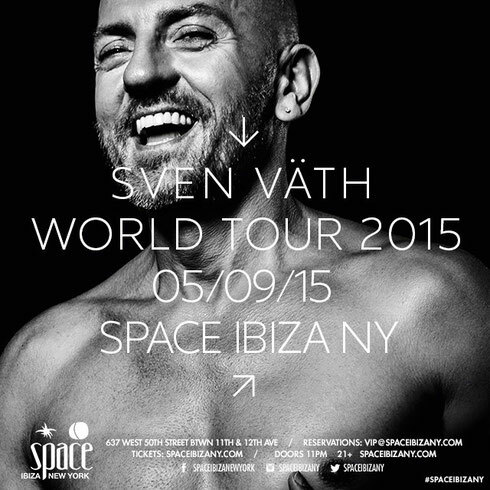 Renowned for his storied career, British DJ Steve Lawler is set to make his long awaited Space Ibiza | New York debut. Branded as an official ‘Viva Warriors’ showcase, Lawler will invade Hell’s Kitchen. Joining Lawler will be his label mate, Detlef. Victor Calderone will return back to his home on West 50th for a special Memorial Day weekend fiesta. With a consistent rise in popularity of the return of a true NYC residency, Calderone will kick off the summer season with the biggest MATTER+ event to date, with a very special guest left to be announced.